(4-LP set) For 50 years, ‘The White Album’ has invited its listeners to venture forth and explore the breadth and ambition of its music, delighting and inspiring each new generation in turn. 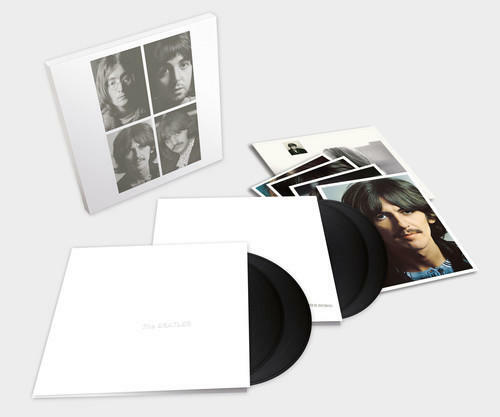 The Beatles have now released a suite of lavishly presented ‘White Album’ packages, including a 180-gram 4LP vinyl set housed in a 2 piece lift off lid box and gatefold sleeves with a 16 page 12”x12” stapled book. The album’s 30 tracks are newly mixed by producer Giles Martin and mix engineer Sam Okell in stereo.